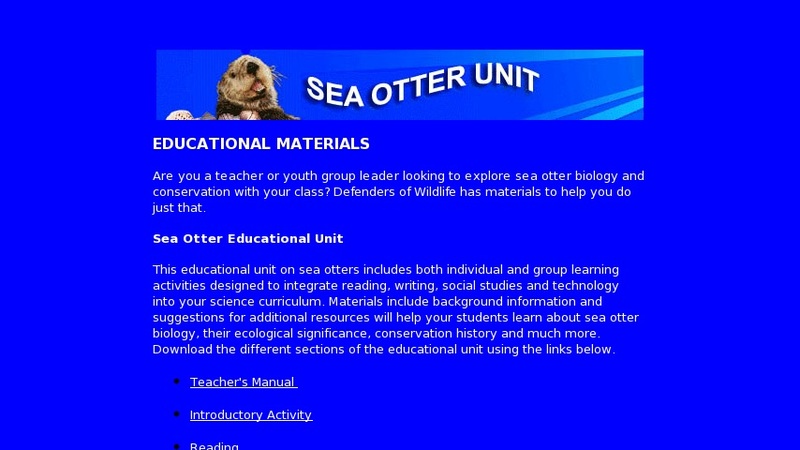 Teacher's manual on sea otters with lesson plans on: using the web as a research tool; reading and developing writing skills; social studies with role playing activity in community conflict resolution. Includes a glossary, links to additional resources, and background materials on sea otter history, distribution, vital statistics, behavior, role in food web, threats and conservation measures. Suggests conservation activities for classroom or school.